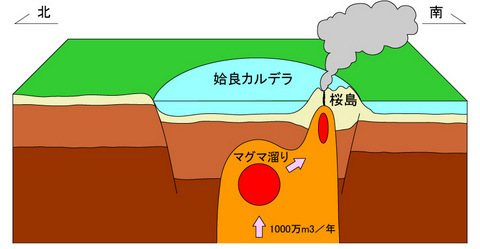 At present, it is not possible to climb Sakurajima due to risk of eruptions. 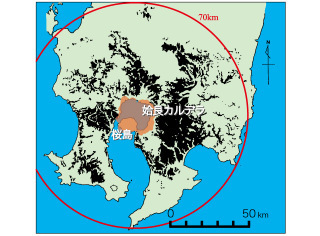 Anywhere within 2km of the South Peak and Showa craters is considered off-limits. The North Peak (Ontake) of Sakurajima is also a part of this off-limits area. Yunohira Observatory, located at the 4th station of the North Peak, is the highest point open to the public, elevated at a height of 373m above sea level. 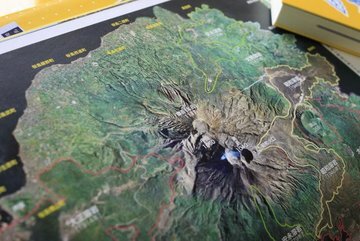 However, there was once a time when people could climb Sakurajima. 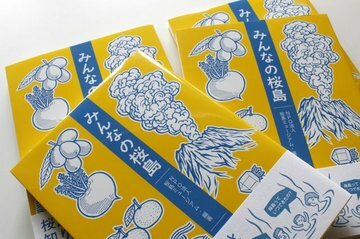 Many trails going up the mountain are illustrated on maps drawn in the Meiji era. 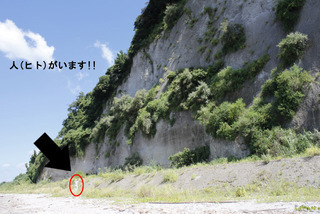 Further, many elderly people can say, "I climbed Sakurajima as part of an elementary school excursion" or "there used be a road here...". In 1955 the South Peak of Sakurajima, which had been quiet up until that point, suddenly erupted, killing hikers. Since then, climbing the volcano has been restricted. 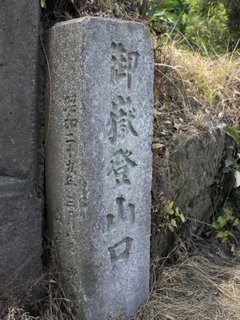 "Passing down the history of mountain climbing"
There is a stone monument engraved with the words "Ontake trail entrance" in Take-cho , Sakurajima. 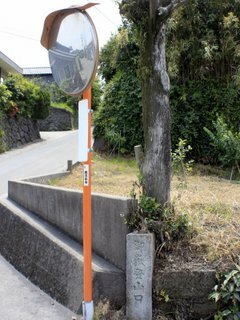 This stone monument which stands under a road mirror at a T-junction is a valuable piece of heritage that conveys the history of mountain climbing ofin Sakurajima. From here you can begin ascending the volcano. 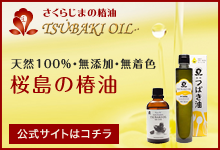 Although the trail disappears after passing villages and farms, it once went up to the summit. Many people tried to climb up to the summit from here before the restriction began. 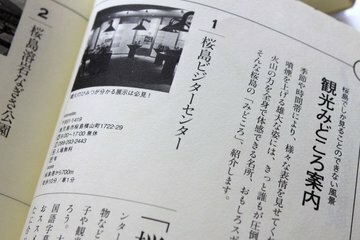 It was quite lively on weekends at the beginning of the Showa era as there was a village port (currently the Sakurajima Ferry Port) that connected Sakurajima and Kagoshima in the area. 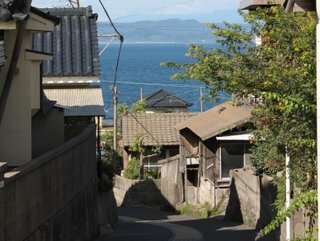 Now this place is a part of a residential area that only few tourists visit. Perhaps though, the stone monument still remembers the lively days from back then.